I spent most of 2017 with upper back pain, around my right scapula. I spent countless hours (and money) at the osteo and physio, to relieve the problem, only for it to raise it’s ugly head not too long after. I tried a number of upper back strengthening exercises, none of which seemed to alleviate the problem. 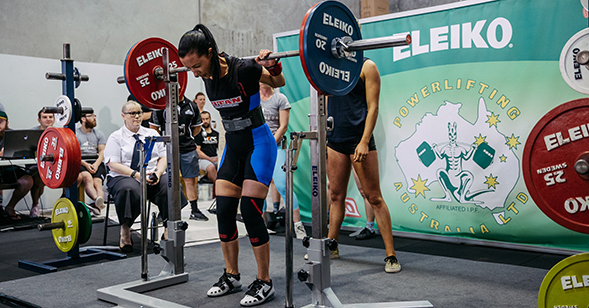 This pain really affected my powerlifting performance last year, with my squat going backwards, as I found it very difficult to hold heavy weight on my back. Sharp shooting pain would hit and it would stop me in my tracks. It also affected my bench press, as I just couldn’t seem to get any power in my right side. I finally got a scan on my back to reveal an irritation where one of my ribs attaches to the spine. It was a rib dysfunction. With having tried soft tissue treatments all year, I decided it was time to bite the bullet and get a cortisone injection. This helped immensely! The inflammation settled down and I was able to work on the underlying problem, a lack of scapula control and a weak serratus anterior (SA) muscle. A muscle responsible for holding your scapula in place and helps anchor other shoulder muscles so that they can do their job. Every day for 4 weeks I performed the following two exercises, for 4 sets of 10 repetitions each. I now only do them before every training session (and sometimes during). These two exercises have really helped me build my SA strength and build back my scapula control. The pain hasn’t gone away fully, and I can still feel there is still work to be done, but the sharp knife like pain has gone, and my lifting groove is coming back. The key is to continue to work on this weakness!